Students from Haptics, Kinematics/Dynamics, and Modern Biomedical Technologies demonstrated their projects, April 25, 2013. 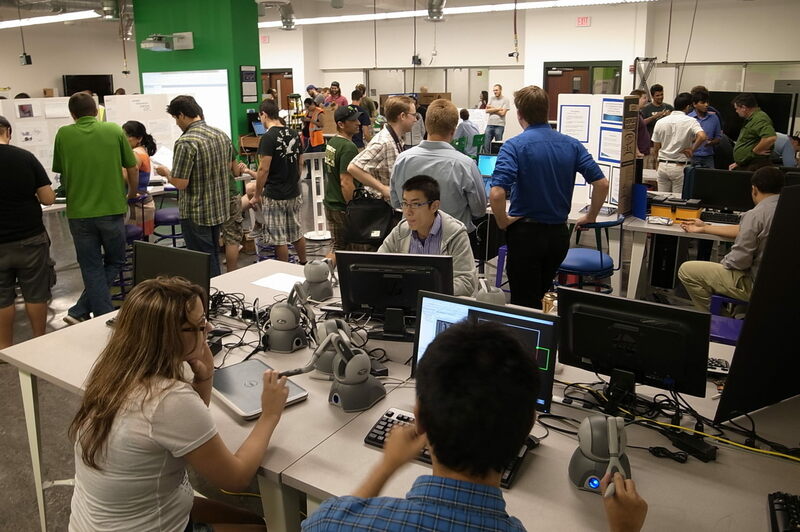 The final projects from three class - Haptics, Kinematics and Dynamics, and Modern Biomedical Technologies - were demonstrated in the newly renovated Engineering II Interdisciplinary Laboratory on April 25, 2013. Last modified on Apr 29, 2013.